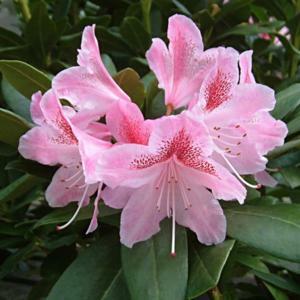 Medium sized hardy hybrid with a neat, dense, broad spreading habit. Rounded trusses of pale pink flowers flushed with red. Good glossy green foliage.